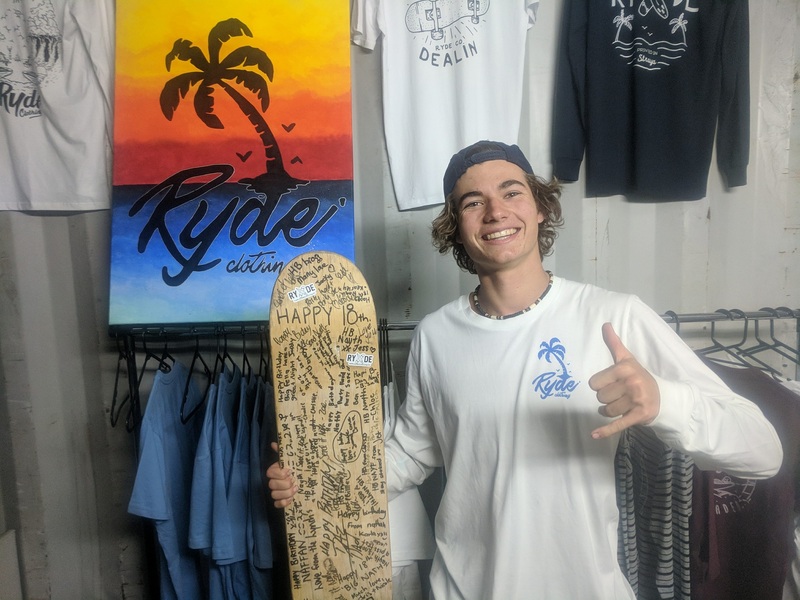 Since its launch in 2016, Renmark based streetwear label Ryde Clothing has been making a name for itself among the South Australian fashion scene. Founded by now 18-year-old, Nathan Woodrow, the label is fuelled by both the ’90s and a passion to ride. To mark Ryde Clothing’s second successful year, we caught up with Nathan to see how things have changed since we last spoke with him in 2016. TEO: What’s been the highlights for Ryde Clothing since your launch in 2016? Nathan: I think the entire journey from 2016 to now has been a highlight, really! 2016 and 2017 were both years where I was running the business while also completing school, so they were huge years for me. Since our first interview in 2016, I’ve also had multiple radio interviews, been featured on blogs and spoke at a local business event. I’ve moved my business into a shipping container in my backyard and have been nominated as a South Australian Young Achiever! Although, the biggest highlight was seeing how many people have supported me throughout my journey, repping the clothes that I am making and spreading the message the brand is all about. Meeting so many new people and sharing my passion with an audience that has the same passion is a feeling I can’t explain. How have you expanded the brand? I’m still hand-printing everything and coming up with new designs like I was in 2016. I think it’s mainly been engaging with my audience through social media, attending market events and collaborations with other businesses. I can see the audience is expanding and I couldn’t be more grateful for everyone getting around the brand. Ryde has picked up multiple retail outlets and through trying new things with designs, styles and interacting with the Ryde Clothing audience, the online store has gained more traffic. Seeing more people wear the clothing is the best feeling and an indicator that it is expanding. What have been some of the challenges of running a label? The challenges have come from managing the business with other things going on in life—like school and sport—and working out what is more important to me. There have been so many different challenges with running Ryde Clothing but it’s what makes it fun, and it’s how you learn. Where do you see Ryde Clothing in another two years? I’m currently working on some different things, which I won’t give away but I do see the Ryde Clothing community growing much more, surrounded by people who share my same passion for Ryding! Read our last interview with Nathan here.